Classic Touch Wood Floors has made this space for a few reasons. The first, and main one, is that we like to talk ourselves up a bit. We don’t think there is anything wrong with telling our readers why we are Central Pennsylvania’s top choice for flooring contractors, new hardwood floor installation, and hardwood floor repair. 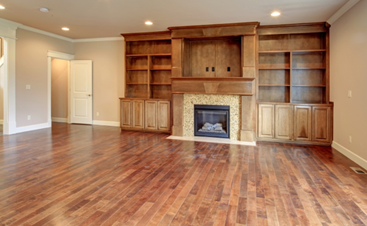 Since 2005 we have been providing exceptional wood flooring services to communities that include Mount Carmel, Sunbury, Danville, Bloomsburg, Harrisburg, and Williamsport. The second reason is that we enjoy relaying our industry knowledge to clients and prospective customers alike. This knowledge might include tips and tricks to keep your floor in great order, how to know when the time is right for hardwood floor replacement or repair, and perhaps even some Pennsylvania community pieces as well. The point is, we want our readers to understand that this is a place they can come to for information about our company, the industry in general, and Central Pennsylvania community news and events. 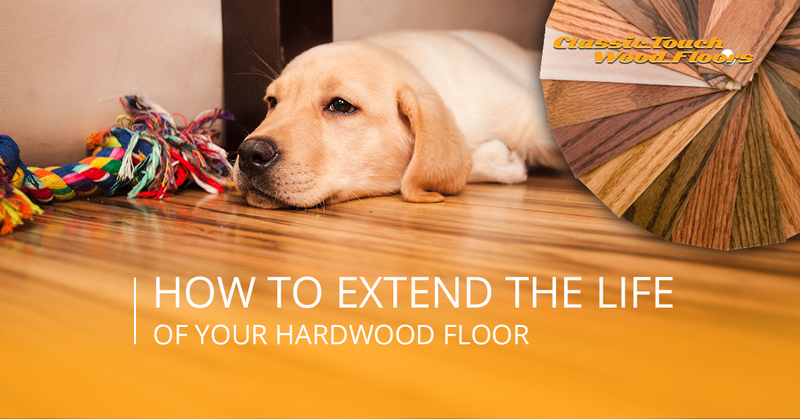 To that end, today’s post is going to be relaying some basic tips and tricks to keep your hardwood floor spick and span like the day it was installed, hopefully by your friendly local hardwood flooring contractors at Classic Touch Wood Floors, we might add. Read on if you are interested in keeping your home beautiful and saving financial resources by delaying a restoration or new installment. While some of these recommendations might seem redundant or obvious to some, to others it might mean a significant difference in the life-span of a wood floor. Firstly, make sure that you are on top of general cleaning. This is one of the most common ways we see a hardwood floor go to heck – by people simply neglecting to consistently deep-clean their wood. We don’t mean that you need to get down on your hands and knees with a fine-toothed-comb or toothbrush, but maybe doing more than a monthly sweeping would certainly help the look and shine. You’ll want to sweep weekly, and mop just as frequently. Polishing can be done monthly or perhaps quarterly, and consider talking to your local hardwood flooring company to figure out how often you should get your floor re-sealed. In addition to the obvious chore of consistent sweeping, you’ll want to use a dust mop at a bare minimum. Consider acquiring a vacuum with specialized hardwood floor attachments, or at least a vacuum with an on/off switch on the beater bar. And for any of you who don’t know, using a beater-bar on a hardwood floor is a sure-fire way to make your floor look like junk in a short amount of time. Don’t do that. In keeping with some of the more obvious tips, you’ll want to keep tips in mind. First, don’t let the little ones tromp around in their cleats or even adults in heels, for very long. While nobody likes that homeowner who is constantly telling people to take their shoes off, it might be a good idea to draw a line with heels, cleats, and maybe dogs with untrimmed claws. Another good idea is to place welcome mats at all entrances or exits because this will keep small pieces of debris or pebbles from entering inside as an unwelcome guest. Rugs of the non-welcoming variety can also be an effective tool in high-traffic areas, such as a hallway. This will keep the wear and tear to a minimum in areas that get more foot-traffic than others. What Kind Of Finish Should I Use? We are thrilled you asked the right people! 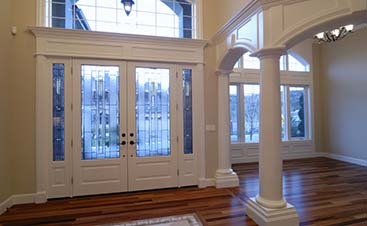 The answer to this question is that there are many kinds of finishes for various kinds of wooden floors. If you have questions it is probably best to get in touch with your local flooring contractors at Classic Touch Wood Floors: hint hint. Using the correct finish will certainly extend the life of your floor by protecting it from spills and scratches. In terms of cleaners, we would offer the same advice of contacting the hardwood flooring company that did the installation in the first place. But make sure you never use a wax or petroleum-based finish on a surface-finish floor. It will definitely not go well. If you have a surface-sealed floor (typically wood floor installations now use urethane, polyurethane, or polyacrylic), you don’t have to worry about much. Sweep, mop with water, and that’s it, take a nap, read a book, or stare at your beautiful, custom hardwood! Conversely, if you have an oil-treated floor, keep in mind that the finish will get soaked up by the grain of the wood before it solidifies. Consult your flooring contractor for advice as to which type of sealant to use to keep your floor in tip-top shape. Finally, if you have an untreated wooden floor, the first thing you should do is get it treated. This will improve the look and lengthen the life of your floor, so you won’t have to get a hardwood floor restoration a few years after installing it. Our last tip for today’s post is that it may be a good idea to set up a cleaning routine. We understand that you might have bigger fish to fry than employing ten different cleaning techniques every week, but doing a weekly mopping, a monthly polish, and a yearly sealing is far from a bad idea. 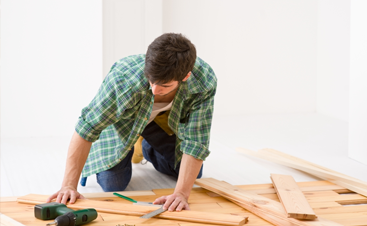 You want to protect your investments, and a new hardwood floor certainly qualifies as such. Classic Touch Wood Floors has been serving the community with quality advice and professional service for more than ten years. We pride ourselves in our affordability, friendliness, punctuality, and courtesy. We have a smoke-free staff who understand how to act respectfully in a client’s home. If you are interested in hardwood repair or perhaps a custom hardwood floor installation, give us a call today because we would like to provide you with a timely and free quote on your project. Get in touch with us!